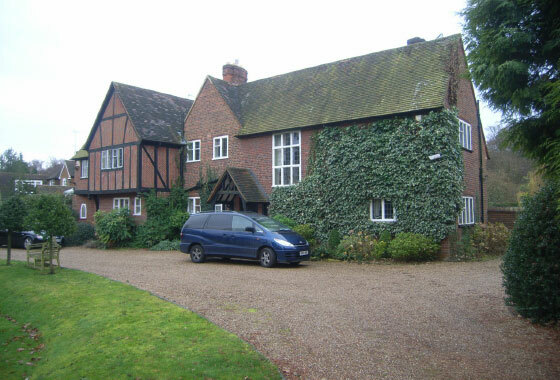 The project includes extension and alteration works to create a 7 bedroom home for a large family whilst also improving the energy performance of the property. Internally at first floor, the long, thin house plan has been divided up to create a ‘kids’ end and an ‘adults’ end. The kids end includes 4 bedrooms and 2 bathrooms while the adults end includes the master suite and 2 guest bedrooms all with en-suite bathrooms. To the front and side of the property we added a new garage with bedroom over and a new study. 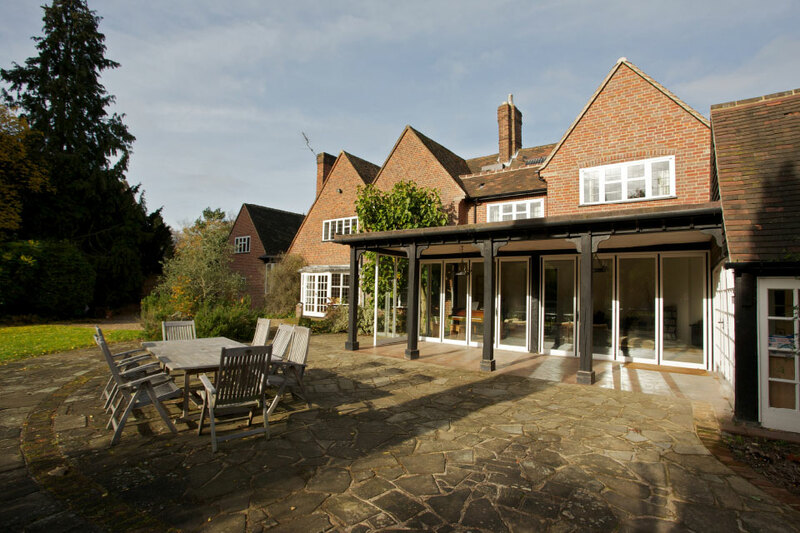 To the rear of the house the extension work was predominantly at first floor level where we built over the existing, single storey family room; this presented an interesting structural challenge. 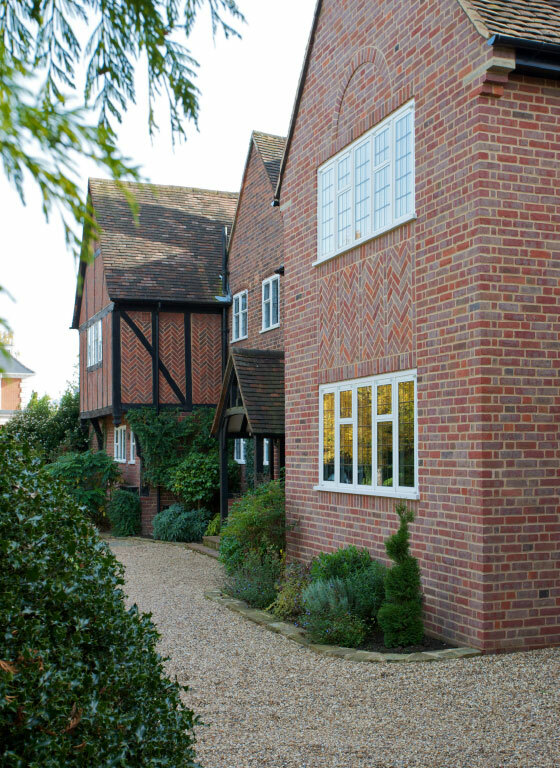 Careful brick detailing to the new elements is designed to complement, but not detract, from the existing, timber framed, gable above the entrance door. As well as improving insulation throughout the property, the new plumbing and heating system includes an air source heat pump and hot water solar panels.